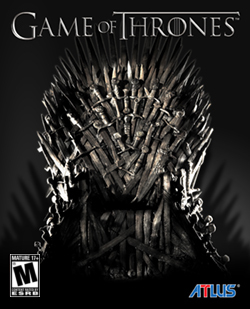 For the unrelated Telltale Games series, see Game of Thrones: A Telltale Games Series. Common fixes and improvements for games using Unreal Engine 3 can be found here. Set Field of view (FOV) appropriately (see the WSGF entry). 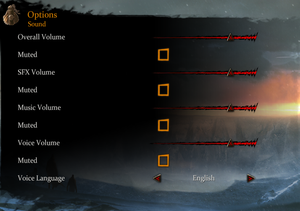 Disable fullscreen mode and choose desktop resolution in-game. 2. Find a section [AGOTGame.AGOTPlayerInput]. 4. 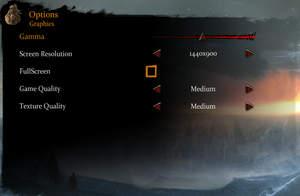 Modifiy FOV values if needed and save. 6. While in game, press F8, F9 or F10 to change FOV. You have to run a game at least once, in order for it to create configuration files. Change UseVsync=False to UseVsync=True to enable Vsync. Controller must be manually enabled via a checkbox in the options menu. ↑ 1.0 1.1 File/folder structure within this directory reflects the path(s) listed for Windows and/or Steam game data (use Wine regedit to access Windows registry paths). Games with Steam Cloud support may store data in ~/.steam/steam/userdata/<user-id>/208730/ in addition to or instead of this directory. The app ID (208730) may differ in some cases. Treat backslashes as forward slashes. See the glossary page for details. This page was last edited on 7 April 2019, at 08:05.